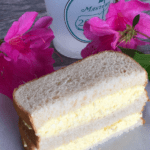 The Masters golf tournament is this weekend, and to celebrate I’m sharing with you one of the quintessential sandwiches at Augusta National: The famous Masters Egg Salad Sandwich! 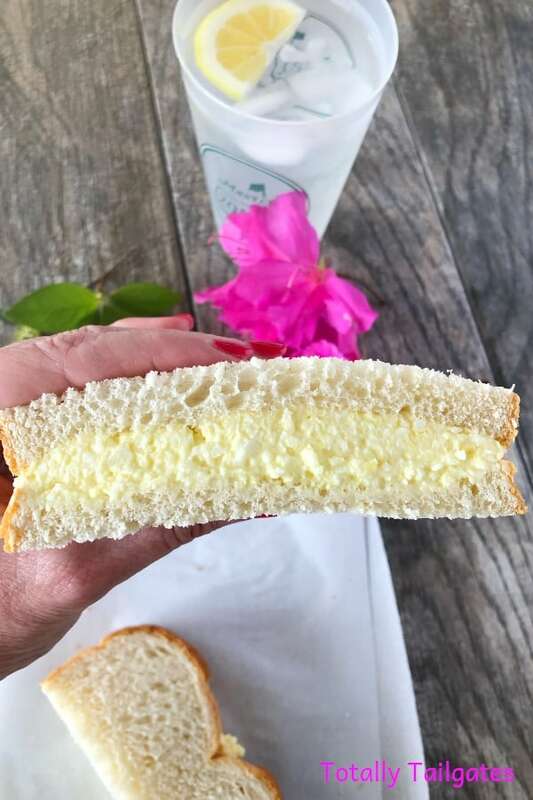 This egg salad sandwich recipe is a delicious and easy classic. Hey everyone, this is Heather from Totally Tailgates with you today. My husband was a golfer in high school and college, so watching golf tournaments is a BIG deal in our house. He attended a practice round at Augusta in college, and talks about it to this day! Scarcity of tickets. It is almost impossible to go to the Masters! Azaleas. Rumor has it the groundskeepers pack the azaleas with ice to trick them into not blooming before the golf tournament! I was even inspired to make an Azalea Belle Cocktail after the famed Par 5 Hole #13 at Augusta…The Azalea. Food. The prestigious country club is renowned for serving the simplest of lunch options at the tournament, namely pimento cheese and egg salad sandwiches! And while the recipes are closely guarded at Augusta, this egg salad recipe is really close to the real thing! At the tournament, the sandwich wrappers are green which is a nod to the legendary Green Jacket the winner receives. The jacket can only be removed from the country club by the current champion, and after that champion’s year of reign is over, it remains at Augusta National. As a matter of fact, the Champions Dinner is held the Tuesday before the tournament and only past champions and certain board members are invited. Of course, they put on their Green Jackets upon entering the clubhouse! Once the tournament begins, you can almost always catch a pro gulping down a sandwich as he walks down the fairway! Most golfers warm up on the driving range before teeing off on the course. So, here are a few preparation tips for you to do before devouring that Masters Egg Salad Sandwich! Place eggs in a pot of COLD water then bring the water to a boil. Never place them in a pot of boiling water! This yields a gray skin around the yolk. Cook 3-5 minutes, then immediately pull them out of the hot water & place them in a bowl of cool/cold water. This stops the cooking process. Again, we are avoiding that gray yolk! After removing the egg shells, I recommend roughly chopping the cooled eggs and placing them in a food processor if you have one. This makes the egg salad very smooth! You can use a little more or a little less mustard….it is really just a taste preference. 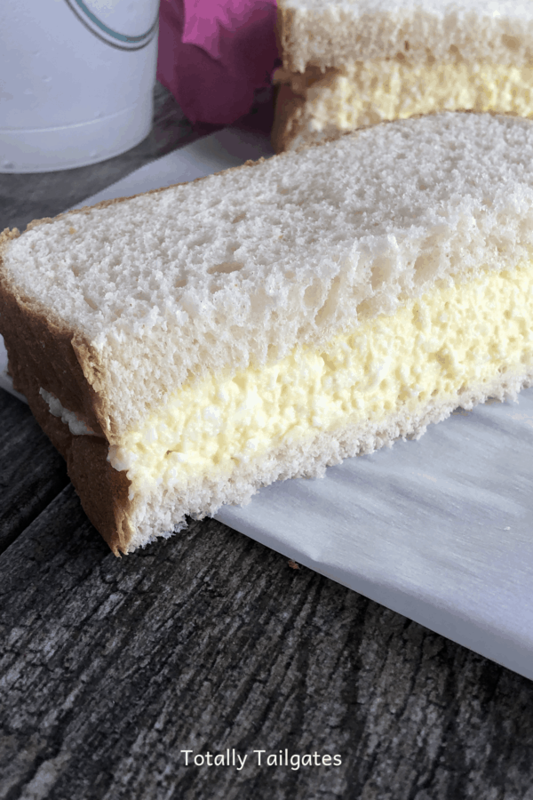 Of course,the key to a good egg salad sandwich is fresh, white bread! The list of ingredients for this classic salad is surprisingly short. Basic, wholesome items that are found in almost all households! 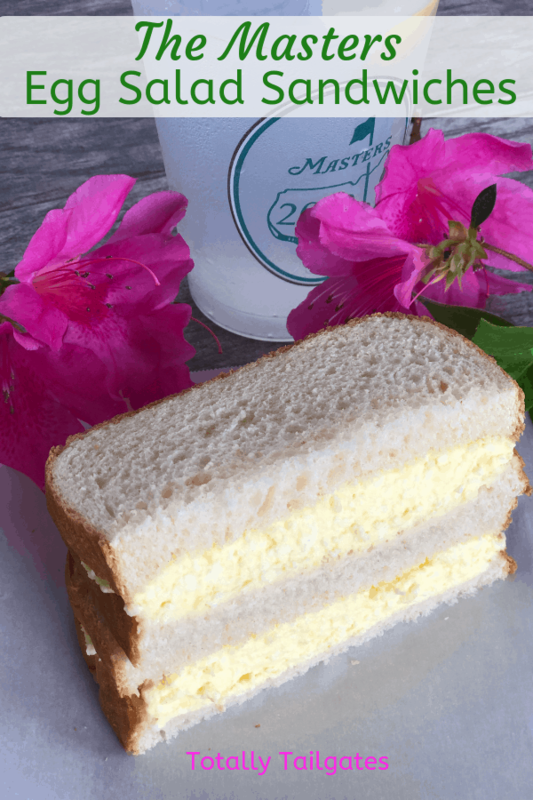 If you are not Augusta bound this week, making a Masters Egg Salad Sandwich at home is the next best thing! This classic sandwich tastes just like the infamous Masters Egg Salad Sandwich served at Augusta National! Boil and peel eggs. Chop eggs until desired consistency. 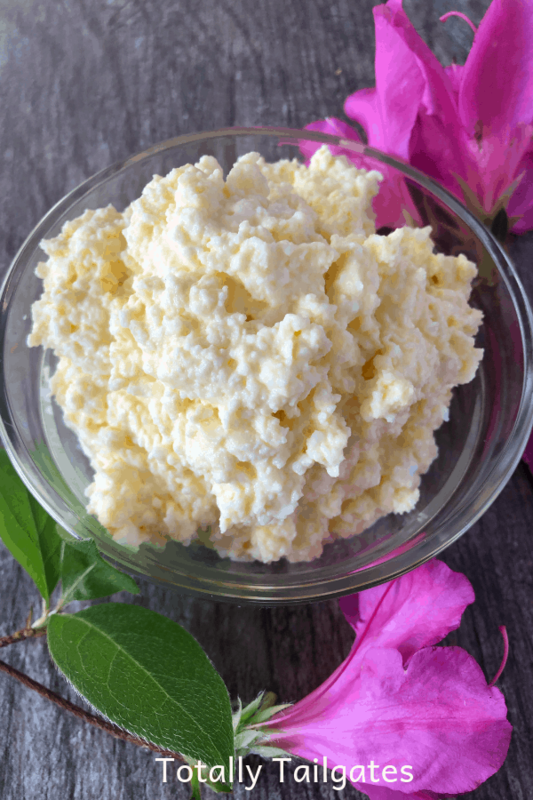 You may use a mini-food processor if you want the egg salad smooth. Place chopped eggs in a medium size bowl. Add mayonnaise, and mustard. Stir well until the ingredients are incorporated into the eggs. Add a dash of onion powder (or to taste) and a dash of salt. Stir well. Spread on fresh slices of white bread. Serve immediately. Yields 2 1/2 cups of egg salad.